Please note: There is a high demand for our cooking classes and all classes are currently sold out through March. We will update this site and social media as soon as new classes are added to our schedule. Thank you for your support! To view some examples of the types of classes we offer, please scroll down. We offer a variety of cooking classes for every skill level. From making pasta from scratch to cast iron cooking and everything in between. Wine pairings, craft cocktail creations, whole animal butchery…Real world cooking skills and techniques from our award-winning kitchen staff. 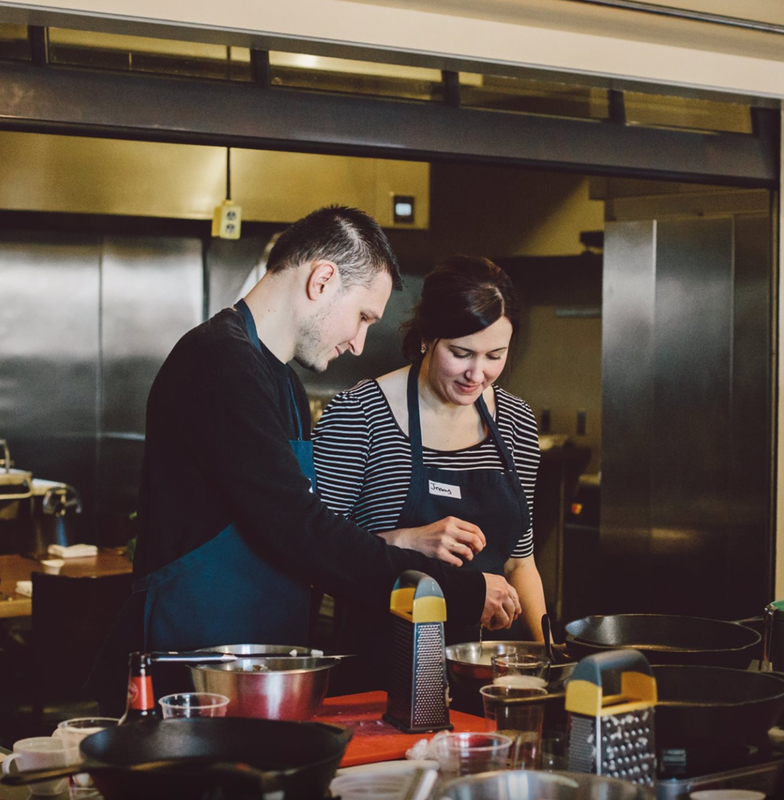 These classes will definitely help you take your cooking game to the next level. Learn how to prepare the traditional Vietnamese style soup with a Grey Plume twist. Learn everything from creating a deep and flavorful broth to balancing the rich and complex flavors of Eastern cuisine. A complete vegetarian meal- techniques learned in this class include quick-bread, vegetable and grain cookery. Create and case your own sausages alongside our expert team from The Grey Plume! Menu: Sausage & Pepper Sandwich with Duck Fat Fries. 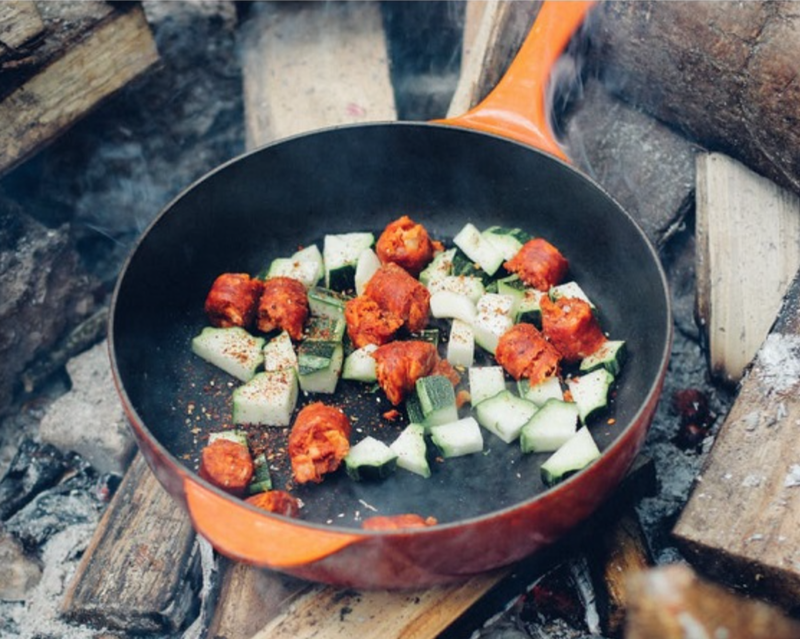 The complete comfort food class- you will master the technique of cooking in cast iron, as well as pick up useful tips for storage and care of your skillets. Learn to fry chicken, make a pan gravy, and bake in this all-purpose pan. Featuring three types of pasta, this class focuses on the technique of pasta rolling. You will also learn our perfect pasta dough recipe. Perfect for all levels- this class is hands-on and does not require any prior kitchen knowledge. Like what you see? Please follow us on social media for updates on upcoming cooking classes.